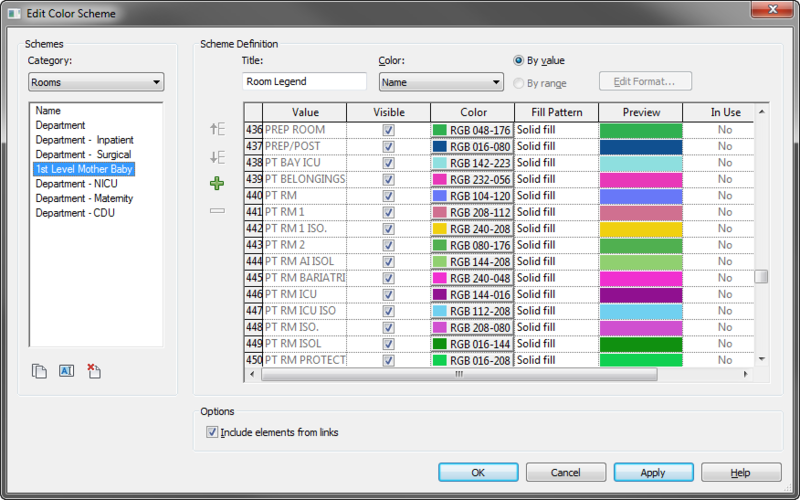 Like other text parameters in Revit, as you add Rooms to your project and provide values to the Name parameter, a list of used values is generated and made available for selecting the Name of a newly added Room. This can speed the naming of Rooms, when you have multiple Rooms with the same Name, and also makes it easier to be consistent in how you name them. So today, I was the only design technology helpdesk staffer, and a question came in regarding the fact that in the project on which this person was working, there was a long list of room names from which to choose, that were NOT Rooms in that project. The problem was there were so many of these "mystery" names that it was slowing down the process of finding the desired name on the list, and the person wanted to be able to delete the ones that did not apply. I opened the project file and set up Room Schedules for each phase in the project, hoping to find that there were unplaced Rooms in one or more of the Phases that were generating these names. This turned out to not be the case. Perplexed, I created a new project from our template, and found that those same names were on the list there, as well. I searched the help and the internet, trying to figure out what the source of these names was, to no avail. Then it occurred to me that there could be a Color Scheme in the project that was defining these names. 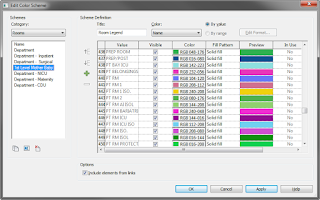 I opened the Edit Color Scheme dialog (on the ribbon: Architecture > Room & Area panel flyout > Color Schemes), set the Category to Rooms and found a number of Color Schemes in our template file. Most were based on the Department parameter, but one was based on the Name parameter, and it was the source of the "mystery" names on the Room Name list.